The words for the service, this Holy Communion Order Two Booklet is clear and readably presented. Common Worship: Holy Communion Order Two Booklet by Church House Publishing was published by Church House in November 2000 and is our 8939th best seller. The ISBN for Common Worship: Holy Communion Order Two Booklet is 9780715120279. 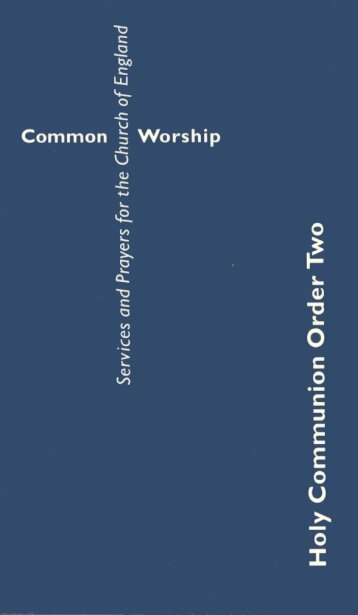 Be the first to review Common Worship: Holy Communion Order Two Booklet! Got a question? No problem! Just click here to ask us about Common Worship: Holy Communion Order Two Booklet.